As kids, we don’t think too much about beds and the differences between them. “Ours is small, and Mum and Dad’s is big” is about as far as that goes – that and pining after the cool race car or castle beds the lucky kids on the TV might have. Of course, we eventually get older and realise there’s a lot more to it. And one of the most important considerations when it comes to buying a bed for yourself or for your kids is, of course, bed size dimensions. It’s important that the size of the bed is correct – is it wide enough for the person that will be sleeping in it? Is it long enough? What about a bed for two? Are the sleepers the type that won't require more space than their body size, or are they chronic toss-and-turners that will need extra room? But it doesn’t stop there…where will the bed be going? Do you want to go a little larger than necessary to complement a large space? Or go a bit smaller in order to create more usable space? At BEDWORKS we can help you choose the perfect bed for your needs. Let’s start with the smallest. 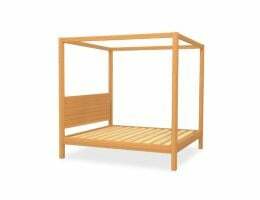 Single bed size dimensions (92cm x 188cm) are perfect for children that have graduated from their cot. 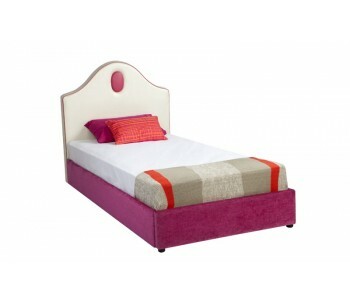 Even if the child is a bit small for the bed, a well-made, sturdy single is a good investment that they can grow into. In Australia, there are additional types of single beds. The ‘long single’ (92cm x 204cm) is great for particularly lanky or quick-growing youngsters that still don’t need much width. 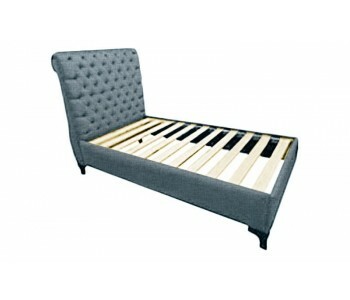 The ‘king single’ bed dimensions (107cm x 203cm), meanwhile, make it a good choice for adults who have limited amount of space in which to put a bed. Whether you are browsing single beds for toddlers or are looking for king single bed size dimensions, the main point here is that they're ‘single’ beds for a reason – even with small children, buying any of these to fit two individuals isn’t advisable. Next up, there is the double bed. 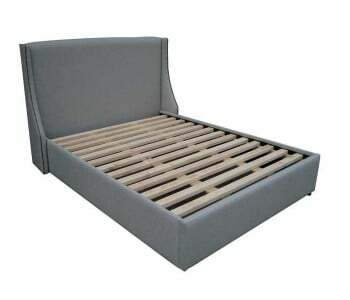 Double bed dimensions (138cm x 188cm) make them suitable if there are two youngsters that choose to share a bed. There is ample room width-wise for two smaller individuals, and the bed is not so long as to take up the majority of the length of a kid's room, which tend to be a bit smaller. 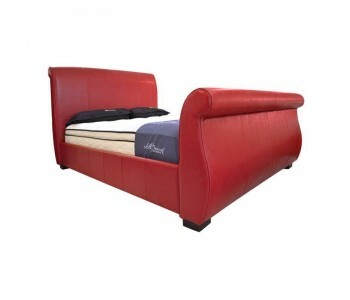 Second, the double bed can be a very comfortable option for shorter adults. However, many taller individuals may find it a bit on the shorter side. Double beds, for the most part, will be rather cramped for two full-grown adults. The ‘double’ here seems to refer to kids! 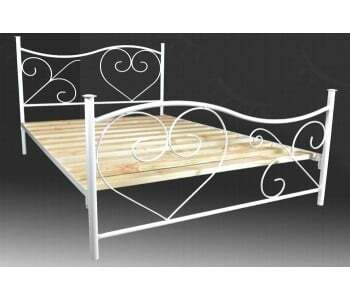 Next is the extremely popular queen bed. Queen bed size dimensions (153cm x 203cm) are the reason they are the most popular bed size for adults. Nearly as long as the largest beds, their width allows two adults to comfortably get a full night’s sleep, and gives those that need it a bit of space for themselves to ensure peaceful rest. Couples with no option but to sleep in a double due to cramped space or budgetary concerns never cease to be amazed at the difference when upgrading to a queen! With affordable options available for both mattresses and bed frames, couples should investigate their ability to purchase a queen-sized bed and mattress for their room. The appropriately-named king bed is often the type of bed that adults aspire to own. King bed size dimensions are royal (183cm x 203cm) – the extra width offered means that each person in a king size bed has the same space as an entire single bed with the added length of a king single! Couples enjoy this bed for the feeling of having your own space whenever desired. King beds are also known to have some of the most luxurious appointments – so for those looking to make a statement in their bedroom, both the size and style of a king bed may be a good choice. 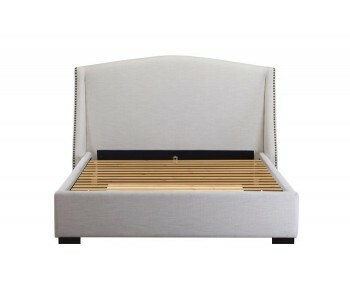 However, the king bed is not the top of the totem pole - that honour goes to the super king (204 cm x 204cm), which provides an unbeatable sleep experience. Believe it or not, the super king is wider than any bed (minus the long single) is long! The super king is certainly not the right fit for everyone, but it most definitely makes the ultimate statement and is perfect for extremely large bedrooms in which any other bed would be dwarfed by the space. With that, you are now up to speed on the different options available to you when considering the size of the bed you wish to purchase. It bears repeating, however, the size of the person(s) using the bed is not the only consideration when choosing bed size. The size of the room is also extremely important, as is the layout – is your large room longer lengthwise or is it wider than it is long? What else needs to fit in the room? Don’t just think about what is in the room now – a good bed is a long-term investment, so consider what additional pieces of furniture and decoration you may want to add. Another thing to consider, is it possible you will be upgrading your living situation within a year or two? If so, and you are in need of a quality bed now, it may be worth it to have a slightly larger bed than you would otherwise choose and forego a bit of floor space now, in order to have the perfect bed in your new (possibly forever) home in the future.